As a follow-up to my post about the Halloween Hunt at Great America, I wanted to share photos from the daytime Halloween event available for those under 13: Snoopy's Trick-or-Treat Festival. Planet Snoopy becomes Planet Spooky for not-scary Halloween fun. There are rides, a costume parade, safe trick-or-treating and a fun hay maze. I love seeing Snoopy in his cute costume! 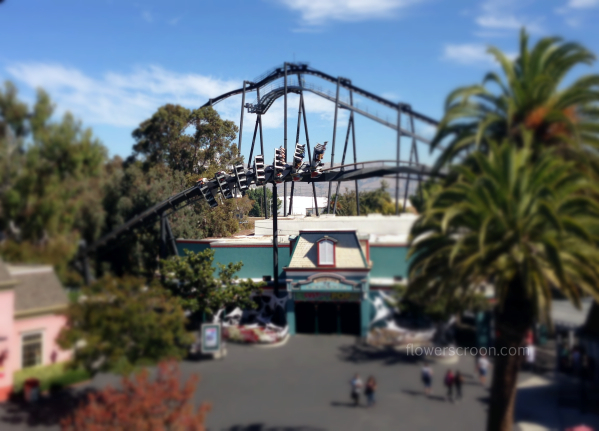 We were happy to see our favorite rides open. Beautiful October day for a fun ride. Fun scarecrows at Planet Spooky. I love how the whole area was decorated. Make sure to stop for photos with the entire PEANUTS gang after the Peanuts Spooktacular show at PEANUTS playhouse. You never know who you'll run into! 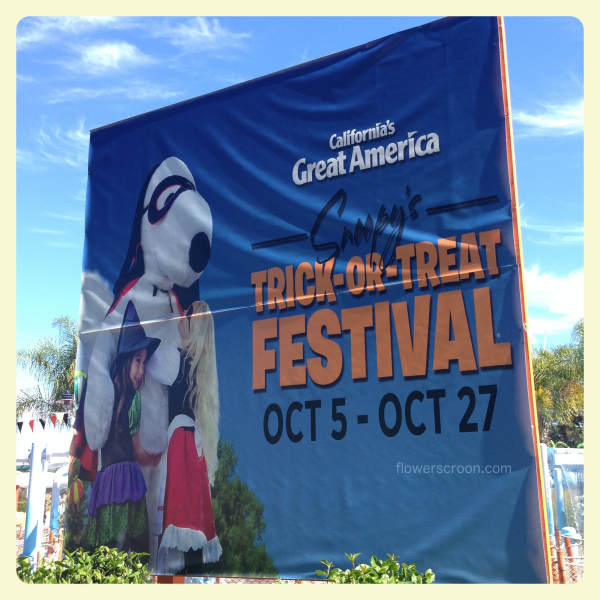 Snoopy's Trick-or-Treat Festival is open from 12:00pm - 4:00pm every Saturday and Sunday in October through the 27th. Check the website for times and prices.